Why it is best to consider yourself a murderer. In the end, knowing that you are a murderer at heart opens the door to salvation. “You have heard that it was said to the people long ago, ‘Do not murder, and anyone who murders will be subject to judgment.’ But I tell you that anyone who is angry with his brother will be subject to judgment. Again, anyone who says to his brother, ‘Raca,’ is answerable to the Sanhedrin. But anyone who says, ‘You fool!’ will be in danger of the fire of hell. “You have heard that it was said, ‘Eye for eye, and tooth for tooth.’ But I tell you, Do not resist an evil person. If someone strikes you on the right cheek, turn to him the other also. And if someone wants to sue you and take your tunic, let him have your cloak as well. If someone forces you to go one mile, go with him two miles. Give to the one who asks you, and do not turn away from the one who wants to borrow from you. What do you do when someone hits you, bumps you, insults you, or hurts you in any way? Or, make it simple, what do you think of the person who cuts you off in traffic? When Jesus preached the Sermon on the Mount he ushered in a new kingdom that turned the whole world upside down and inside out. In his message he raises the standard of inter-relational ethics to impossible standards; well, at least impossible without God, but that is his point. He exposes the natural tendencies of the human heart and critiques the best that man can do with the help of laws to contain those natural impulses. Finally, he requires new attitudes that can only be found in the heart of a person who knows the love and grace of God and who has been transformed and equipped to live and love as a new creation. Our normal human tendency, when we are slapped, is to escalate the violence. An accidental bump in the marketplace or an inadvertent word becomes an offense which leads to a grudge and becomes a feud which is passed on to the generations. The response to a slap is to find a baseball bat which leads to a bigger stick, and then a gun and finally, in the end, to murder. Murder leads to murder, family hates family, clan hates clan, and nations go to war long past the point where the original bump in the marketplace has passed into legend. Jesus points to this view of the law as a useful starting point to overturn the self-righteousness of man. If someone hurts us, under the law, we want to pat ourselves on the back and say that we only took back what we deserved. “He slapped me, I slapped him. We’re even.” At one level this is just; but Jesus has something so much greater in mind. In our normal, law-less mode we are slapped and we want to destroy our neighbor. Under the law we are slapped and after a slap back, we walk away hating each other. In the upside-down kingdom, Jesus wants us, when we are slapped, to return utter vulnerability in the hope that our response of grace will lead to a restored and improved relationship. But in the upside-down kingdom Jesus wants us, in the face of an offense, to respond with love and get as compensation … nothing. Moreover, he wants us to offer more than what is expected or required. Instead of justice that is even, when someone hits us, he wants us to offer the other cheek also. Let’s ponder why Jesus uses the image of a slap. Being slapped in the face is more than just painful, it is a challenge or an insult. It is an intimate gesture and a personal affront. Jesus raises the bar, using an image of a destruction of fellowship that is face to face, deliberate and coldly unavoidable. We know who struck us and we know the slap was delivered with a purpose. In return, the Godly response is not only that we don’t return the slap, which would be “just” under the law, but we don’t even try to defend ourselves against the indignity. We don’t seek to defend ourselves, because we have a new goal – restoration. When someone strikes us, or insults us, or shuns us, or hurts us in any way, we are immediately placed at a relational crossroads. Our response will either end the relationship (or start down that road) or restore the relationship. Instead of being satisfied with the end of relationship, turning the other cheek means that we chase down the person who struck us and offer them a chance to try again and to not strike the other cheek. Our driving passion is to restore the relationship through the love of God with no immediate consideration given to what has been done to us or whether we have been hurt. There may be consequences or reparations or issues to resolve, but that is a later part of the process to be worked out later. Even the most superficial evaluation of this upside-down way of living should stun us. Not only would this attitude transform all human relationships, but through careful assessment of our own selfish hearts, we immediately realize that this attitude is impossible to cultivate without a profound transformation, first, of our whole lives. We need a new understanding, a new perspective, one that overturns our natural way of thinking. We need our hearts totally transformed from self-centeredness to utter selflessness. Even our best actions and habits need to be re-directed as new fruit of a transformed concept of the goal of restoration. The action of turning the other cheek can only be the result of a revolutionized way of thinking and a heart that has been transformed by God. Jesus knew this and made it clear as he ushered in the upside-down kingdom. He discusses murder as a way to reveal our hearts in a penetrating and inescapable way. We all know that murder is at the extreme end of relational destruction. Jesus uses murder because it is such an absolute that we all understand. He traps us because He he doesn’t want us to be able to somehow claim self-righteously, “I’m okay because I haven’t murdered anyone.” His new kingdom trap works like this; “If you even call someone a fool, that is the same a murder.” This challenge does three things. First of all, we must realize that we are all guilty of murder – nobody can make the claim, “I’m okay.” To identify a murderer, we no longer need a dead body, the proof starts in our innermost thoughts. Secondly, he pushes the ethical requirement off the scales (just like turning the other cheek). It isn’t good enough to not murder someone, you can’t even think ill of a person. This forces upon us a crushing implication – if we are not to think ill of a person, that means that we must think well of everyone. Jesus makes this clear when he talks about how to treat our enemies. Imagine someone who is deliberately pursuing your destruction. Not just careless, not merely thoughtless, not simply inconsiderate; the person wants to hurt you, destroy your reputation, take away your wealth and he is doing everything possible to carry out his harmful intentions against you. Jesus says, “Love that person.” <<Insert animated GIF of a jaw dropping here.>> And here is the shocker, to your enemy, to love your enemy, you can’t be careless, or thoughtless, or inconsiderate. It isn’t enough to merely not be offended – you can’t be indifferent. Your love needs to be thoughtful, purposeful, and deliberate. You need to do everything possible to carry out your loving plans to that enemy as he seeks to destroy you. Jesus wants you to pray for that person, give him your things, and invite him into your home. You don’t merely avoid your enemy, you chase after him to present your other cheek for slapping. “All this is flashy rhetoric about loving you. This is why Jesus tells us to love our neighbors as ourselves. The only love that we can produce on our own is a self-centered, self-seeking, greedy love of Me. That is our natural state. Under the law we can (maybe) rise high enough to keep our external actions from revealing the inner selfishness. To love our neighbors and enemies, to turn the other cheek, to free ourselves from murder, we need to be transformed into people who are filled with the grace of God and live by it. What Jesus said in these verses is hard to take. Most of us see ourselves as “really a pretty good person.” Human culture shoves this concept down our throats. We are endlessly pummeled with the message that we are “basically good” from psychologists, politicians and celebrities. It is pleasant and comforting and nice when people say this to us, because it is what we want to believe anyway. However, in our more private and introspective moments we sometimes admit that we have “made mistakes.” This statement is normally linked most logically to some kind of statement like, “but everybody makes mistakes,” which is supposed to justify our littler less significant mistakes. Or if someone presses us into a corner, we admit that we “might have done something wrong,” but in the perfect extreme defense we add, “well, maybe, but I haven’t killed anyone.” And at long last, we are finally trapped by the words of Jesus. Physical murder is not the standard anymore. It is easy for most of us to keep from actual murder. But, if you murder someone in your heart, if you look down on someone, if you dismiss or disregard someone, ignore or show indifference, you are a murderer. And ironically our primary defense reveals that this is what we do all the time. We explain away our sins by comparing ourselves to someone else. In the end, we exalt ourselves in the condemnation of others. We see that we are a little bit wrong, but that other person is the real fool. Raca! If only those people were like me! Raca! That jerk cut me off! Raca! We condemn everyone as a fool every time they don’t meet up to our standards. And when we do that, we become murderers. Jesus wants us to see ourselves as murderers because that strips away all of our self-confidence and self-sufficiency. If you see yourself as a murderer, you realize that you are worse off than your worst fears. This gives us a desperate humility. We gain a new perspective of ourselves, a new perspective of others, a new perspective on our situation, and a new appreciation of our need for the grace of God. Your new self-perspective, crushing as it is, puts you at the utter bottom of the moral stack, where you can finally be free and stop thinking so highly of yourself. You certainly can’t look at anyone else and claim that you are somehow better. From this point of view, when someone slaps you, the indignation is gone, because you know that you are a slapper, too. Still though, it is hard being slapped. How do we overcome? The only deliverance from our state of desperate humility is through faith in Jesus Christ. He received the Ultimate Slap, the rejection of his own heavenly Father and the punishment of all the sins of mankind. He bore every insult, bump, anger, murder, hatred, and indignation, so that we don’t have to. When we look at Jesus and seize desperately upon his nail-scarred hand, we can finally find what we need to overlook the bump, terminate the feud, and chase down our enemies to offer them another swing at our cheek. The Holy Bible: New International Version. 1984 (Mt 5:21–22). Grand Rapids, MI: Zondervan. Blomberg, C. (1992). Vol. 22: Matthew. The New American Commentary (113). Nashville: Broadman & Holman Publishers. The Holy Bible: New International Version. 1984 (Mt 5:43–45). Grand Rapids, MI: Zondervan. It is important to note that all of these principles were already revealed in the Old Testament, the difference is that the nature of the kingdom changes when the King arrives. Please note that there is NO sense of punishment in this system. Compensation and restoration is the assumed purpose of justice. The goal is never to “make him pay for what he did.” Jesus, of course, pushes that to the limit in the Sermon on the Mount. It is valuable to note that as a culture moves further and further from God, this sense of proportion is increasingly lost. Which misses the point anyway. Even this view of law should awaken us to an “Aha!” moment. How does hitting someone back accomplish anything of value? Any opportunity for reconciliation, or to show the other person their fault through our grace and forgiveness is lost. At home, the natural tendency is that everyone gets the exact same amount of cake. The proper response is that if someone takes ALL of the cake and I don’t get ANY, that is ok. As Christians, our goal is not “what is fair in my eyes,” but sacrifice for the delight of others. A spoken word is more than just noise that comes out of our mouths. What we say reflects the profoundest beliefs and commitments of our hearts. When we call a person “Fool!” we are making a pronouncement of purpose and commitment. When we denigrate another, we are saying what we think they are worth, and what they deserve, and what we would do to them if we had the means. In the context of our discussion, it makes us the enemy who wants to destroy the person, that is, we are the murderer. Jesus nails us and our narcissistic world further when he uses the word “Raca.” Raca means empty, that is, you are “Raca,” you are nothing. This passive indifference that treats someone as if they are nothing is perhaps even worse than murder. Every human is of infinite consequence, and for us to dismiss anyone as meaningless is as far from love as you can get. C.S.Lewis, Poems, “As the Ruin Falls” (1st pub. 1964), pp. 109-110. Posted on April 3, 2019 by Seth Dunn and filed under Devotions and tagged Charles Fox devotion Proclamation Presbyterian Church PCA Mount Joy PA Reformed theology sanctification Exclusive Salvation in Christ. This is wonderful news for us because we continue warring with sin. Nothing needs to be added to Christ’s finished work. Our sanctification does not earn salvation. We strive to become more like Christ out of love for Him. Today if you are in Christ you can face your challenges and grow in grace knowing that your standing before God never changes because He sees Christ’s light on you. May that joy empower you. See blog on 1 John 1:7-8. See Daniel B. Wallace Greek Grammar Beyond the Basics: An Exegetical Syntax of the New Testament with Scripture, Subject, and Greek Word Indexes. (Grand Rapids, MI: Zondervan, 1996), 473, 474, and 476. Also A.T. Robertson A Grammar of the Greek New Testament in the Light of Historical Research Second Ed. (New York, NY: George H. Doran Co., 1915), 998. Romans 8:9; Galatians 5:25; Hebrews 10:24; James 2:14-26; Revelation 3:22. Simon J. Kistemaker. New Testament Commentary: Exposition of the Epistle of James and the Epistles of John. (Grand Rapids, MI: Baker Book House, 1986), 243-244. Posted on April 3, 2019 by Seth Dunn and filed under Devotions and tagged Logos Bible Software devotional theology Treasuring God's Truth Assurance Mount Joy Proclamation Presbyterian Church PCA Reformed PA true joy Exclusive Salvation in Christ. This darkness is why Christ, the light of the world, had to come and rescue His children. We cannot save ourselves because by nature we are dead in sin. Christ had to rescue us, and when He rescues, God the Father no longer sees our darkness, but the light of Christ in us. This undeserved gift  should make all of us want to live as those who are in the light. This light is for all who believe that Jesus alone is the way, the truth, and the light, Who reunites us to God, when our sins had separated us. Living like the light does not earn salvation, but is a joyful reflection of it. If you are in Christ, what sins can you put aside today? What Christ honoring actions can you take to live as one in the light, for God’s glory and your good? This blog was written by Seth Dunn. Simon J. Kistemaker. New Testament Commentary: Exposition of the Epistle of James and the Epistles of John. (Grand Rapids, MI: Baker Book House, 1986), 242. Walter Bauer, William F. Arndt, F. Wilbur Gingrich, and Frederick W. Danker. A Greek-English Lexicon of the New Testament and Other Early Christian Literature: A translation and adaptation of the fourth revised and augmented edition of Walter Bauer’s Griechish-Deutsches Worterbuch zu den Schriften des Neuen Testaments und der ubrigen urchristlichen Literatur, Second Ed. Revised and Augmented by F. Wilbur Gingrich and Frederick W. Danker. (Chicago, IL: The University of Chicago Press, 1979). (BAGD), 757. Ephesians 4:17-24; Titus 3:3-11, etc. Kistemaker, The Epistle of James and the Epistles of John, 243. Kistemaker, The Epistle of James and the Epistles of John, 242. See also Luke 19:10; John 3:16, etc. Kistemaker, The Epistle of James and the Epistles of John, 243-244. Titus 3:3-7; 1 Corinthians 6:9-19; James 2:14-26; Galatians 2:15-21, etc. Posted on March 15, 2019 by Seth Dunn and filed under Devotions and tagged Proclamation Presbyterian Church Mount Joy Reformed treasuring God's truth true joy Exclusive Salvation in Christ devotional PCA Logos Bible Software. The text of “The God of Abraham Praise” may also be loosely based on the Yigdal. Yigdal literally means “may he be magnified,” and—as you may have guessed—it’s the first word of the prayer in Hebrew. The entire prayer is a 14th century adaptation of a creed written by the philosopher Maimonides, the most significant medieval Jewish thinker. Verse 6 also reflects the Revelation imagery of all the saints eternally praising God before his throne in heaven. Remember “Holy, Holy, Holy,” in which we join this congregation, echoing the words of the cherubim of Revelation 4:8. Verse 5 of “The God of Abraham Praise” sets up this same scene for us: “On Zion’s sacred height his kingdom [God] maintains, and glorious with his saints in light forever reigns.” So when verse 6 refers to “the whole triumphant host,” it means all believers—past, present, and future—singing together in heaven. The second half of the verse makes this personal: “Hail, Abraham’s God and mine! I join the heavenly lays [songs] …” The same God who called Abraham out of his city to the promised land has called us to participate in his kingdom today. Posted on March 8, 2019 by Seth Dunn and filed under About Proclamation and tagged Music worship Corrie Schwab reformed Proclamation Presbyterian Church Reformed PCA pca Mount Joy. The last blog discussed how John is trying to keep believers from leaving the church by defending his apostleship. In verses 3-4, John continues to counter false beliefs about Christianity by explaining that true fellowship with God and Christians, and true joy only come through the apostles’ teaching—teaching that is affirmed by the whole Bible. The crucial key to biblical fellowship hinges on knowing the Triune God in Christ: that His blood pays for the forgiveness of sins, and His continued work in our lives. Any fellowship claiming to be Christian that lacks these elements is not true biblical fellowship. This is why doctrine is so important! If we do not rightly understand Scripture, how can we claim to fellowship with God and His people and have His joy? Whether or not you would call yourself a Christian, you need to study the apostles’ teaching. What Christ’s apostles taught is in harmony with the whole Bible, which reveals our sin and our need for a Savior. What Christ’s apostles taught is that that Savior is exclusively Jesus, Who alone brings us into fellowship with God and man. What Christ’s apostles taught leads to lasting joy even in suffering. These things are yours only in Christ, as the apostles taught. Colin G. Kruse. The Letters of John. General Editor: D.A. Carson. (Grand Rapids, MI: Wm. B. Eerdmans Publishing Co., 2000), 52-53. Joel Beeke. The Epistles of John. (Webster, NY: Evangelical Press, 2006), 25-26. Beeke, The Epistles of John, 26. Beeke, The Epistles of John, 27. See also John 15:11, 16:24, 17:21; 1 Corinthians 1:9; 1 John 1:1, 2:24. Luke 24:39-50; Acts 2-3; Galatians 3; 1 Peter 2, etc. John 14:6; Acts 2:42, 4:12; 2 Corinthians 6:14; Ephesians 1:3-10, 2:1-10, 1 John 1:5-10. 2 Corinthians 1:3-10; Philippians 4:11-13; James 1:2-4; 1 Peter 1:3-12. Posted on March 8, 2019 by Seth Dunn and filed under Devotions and tagged Logos Bible Software true joy Treasuring God's Truth Reformed PCA Proclamation Presbyterian Church Mount Joy devotion devotional Exclusive Salvation in Christ. Clear truths and application flow from these facts. Jesus, the second person of the Trinity, is alive and is Lord as taught by His witnesses, Scripture, and history. Because Christ reigns, His statements about being the exclusive way to salvation are true, which means everyone must follow Him or face the consequences. But serving Jesus is not impersonal. He cares for us, understands our trials, and intercedes for us. Christ’s loving kindness is enough to keep anyone in the church and sustain them for all of life. Are you willing to trust Him today by the power of His Holy Spirit? The Holy Bible: English Standard Version. Wheaton, IL: Crossway Bibles, 2016). All Scripture References will be ESV unless noted otherwise. Colin G. Kruse. The Letters of John. General Editor: D.A. Carson. (Grand Rapids, MI: Wm. B. Eerdmans Publishing Co., 2000), 51. Kruse, The Letters of John, 52-53. Kruse, The Letters of John, 57. Luke 24:36-53; John 19:35; Acts 4, 5:27-32, 26; 1 Corinthians 15:3-9; Hebrews 11-12:3; 1 Peter 5:1; 2 Peter 1:16. John 14:6; Ephesians 1:3-2:16; Philippians 2:5-11; Colossians 1:15-2:15; Hebrews 1:1-3:6; 1 Peter 1:13-23; 1 John 2:1-3, 3:1-10; Revelation 21:1-8. Psalm 34:18; John 11:5, 35, 17:1-26; Romans 8:34; Hebrews 4:14-16. Posted on March 1, 2019 by Seth Dunn and filed under Devotions and tagged Logos Bible Software Exclusive Salvation in Christ Mount Joy Proclamation Presbyterian Church PCA Reformed Treasuring God's Truth theology true joy. God’s coming justice should give us reverential pause. Because of our sins, Scripture describes all humanity like those who opposed David—as insurrectionists. The only way we can receive God’s graciousness rather than His rightful wrath is to believe that Jesus alone bore the wrath we deserve. If you do believe, when Christ returns He will justify you before God and your enemies, and welcome you to paradise. May God use this future hope to call those who lack it to Himself and to sustain those who believe. The Holy Bible: English Standard Version. (Wheaton, IL: Crossway Bibles, 2016), Logos Bible Software 7. All Scripture references will be ESV unless noted otherwise. James Montgomery Boice. Psalms, Vol. 2: Psalms 42-106. (Grand Rapids, MI: Bake Books a division of Baker Book House Co, 1996), 518. Alec Motyer. Psalms By the Day: A New Devotional Translation. (Geanies House Fearn, Tain Ross–shire IV20 1TW, Scotland, UK: Christian Focus Publications, 2016), 165. C.H. Spurgeon. The Treasury of David, Containing An Original Exposition Of The Book Of Psalms; A Collection Of Illustrative Extracts From the Whole Ranger Of Literature; A Series Of Homiletical Hints Upon Almost every Verse; And Lists Of Writers Upon Each Psalm In Three Volumes, Vol., 3: Psalm LVIII To CX. (Peabody, Mass: Hendrickson Pub, 1876), 79. Motyer, Psalms By the Day, 165. Spurgeon, The Treasury of David, Vol. 2, 80. Genesis 6:5; 1 Samuel 15:23; Jeremiah 17:9-10; Malachi 1; Romans 3:9-23, 8:7-8; Ephesians 2:1-10, Titus 3:1-7; 1 John 3:8, etc. Isaiah 53:4-12; John 3:16, 14:6; Acts 4:12, Ephesians 2:11-22; etc. Revelation 6:9-11, 19, 21:1-8, 22:1-5. Posted on February 20, 2019 by Seth Dunn and filed under Devotions and tagged Logos Bible Software Psalms true joy Exclusive Salvation in Christ Proclamation Presbyterian Church Mount Joy PCA. While we may not face the specific challenges David did, we all are daily engaged in worship wars. In all circumstances, we are tempted to turn from Christ to idols. How do you want to do battle? Without the Creator who made you or with His help that has sustained His people like David throughout the centuries? May the Holy Spirit help all of us to cling to Christ more and more. Willem A. VanGemeren The Expositor’s Bible Commentary with the New International Version of the Holy Bible in Twelve Volumes: Vol. 5 (Psalms-Song of Songs). General Ed. Frank E. Gaebelein. (Grand Rapids, MI: The Zondervan Corporation, 1991), 427. See also The Reformation Study Bible. General Editor R.C. Sproul. (Lake Mary, FL: Ligonier Ministries, 2005), 789-790. The Reformation Study Bible, 790. The Reformation Study Bible, 789. Ecclesiastes 1:8; Jeremiah 2:13; Jonah 2:8-9; Ezekiel 36:25; Matthew 6:21-23, 33; Acts 20:24; Philippians 4:10-14; 2 Timothy 3:1-2; Hebrews 12:1-17; 1 John 2:15-17, 5:4. 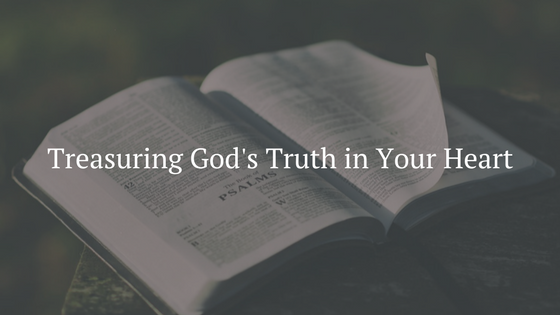 Posted on February 15, 2019 by Seth Dunn and filed under Devotions and tagged Treasuring God's Truth true joy Logos Bible Software Psalms Proclamation Presbyterian Church PCA Reformed Assurance. Our February doxology, the Gloria Patri, happens to be one of the oldest continuously sung doxologies in the Christian tradition. * At least one record suggests that the first half appeared before A.D. 100, and the entire text has been chanted since the fourth century at latest. Today it is regularly sung all over the world in Catholic churches, in Eastern Orthodox churches, and in countless Protestant churches. For the non–Latin scholars among us, the doxology’s title—Gloria Patri—is simply the first line in Latin, “Glory be to the Father.” The first half of the song, “Glory be to the Father, and to the Son, and to the Holy Ghost,” reflects the language of the Great Commission: “Go therefore and make disciples of all nations, baptizing them in the name of the Father and of the Son and of the Holy Spirit, teaching them to observe all that I have commanded you.” When we sing this we’re affirming our identity as disciples. When we sing the second half, we’re affirming the Trinity by acknowledging that Christ and the Holy Spirit are eternally deserving of glory alongside God the Father—past, present, and future. Indeed, this line was probably added during the Trinitarian controversies of the early church, when this hymn may have served as a sort of “fight song” for orthodox Christians! The last phrase of the doxology (well, not counting amen) is particularly interesting. The phrase we sing as “world without end” is a translation of the Latin in saecula saeculorum, which in turn is a translation from Greek. In both Latin and Greek, the phrase literally means unto ages of ages, and is normally translated to English as forever and ever. You may be familiar with this phrase: it occurs many times in the New Testament, including 12 times in Revelation. For instance, “Blessing and glory and wisdom and thanksgiving and honor and power and might be to our God forever and ever! Amen” (Rev. 7:12). So the second half of the Gloria Patri encompasses all of Scripture, in a sense: from “in the beginning” (Gen. 1:1) to “forever and ever” (a continual refrain in Revelation, finally in Rev. 22:5). * Here’s a challenge: find an even older doxology! Remember, doxology simply means a brief expression of praise to God. By this definition, any Scripture passage that praises God counts as a doxology. If you consider only doxologies that are sung by churches today, what’s the oldest doxology you can find? Please share your discoveries in the comments. 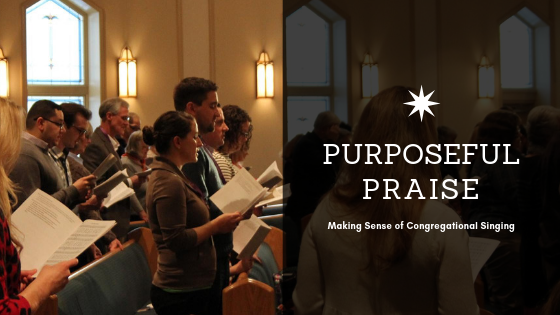 Posted on February 8, 2019 by Seth Dunn and filed under About Proclamation and tagged Music doxology Corrie Schwab Proclamation Presbyterian Church PCA Reformed worship. Please understand: David’s behavior is not escapism, and ours should not be either. David understood that “The LORD is near to the brokenhearted and saves the crushed in spirit.”  The God Who created David sustained and suffered with David. This is especially true for the elect because of Christ’s earthly sufferings and crucifixion. We as believers suffer with hope because Jesus has endured the greatest trials and has given us the Holy Spirit to comfort and sustain us. If you suffer apart from Christ, there is every reason to fear because your hopes lack eternal benefit. Turning to Christ as your only Savior from sin will not end suffering. However Jesus gives you the hope of maturing and guarantees eternity without suffering. Why suffer without hope? The Holy Bible: English Standard Version. (Wheaton, IL: Crossway Bibles, 2016). Logos Bible Software &. All Scripture references will be ESV unless noted otherwise. John Calvin & J. Anderson. Commentary on the Book of Psalms, Vol. 2. (Bellingham, WA: Logos Bible Software 7, 2010), 438-440. Calvin, Psalms, Vol. 2, Logos Bible Software 7, 438-440. Isaiah 53; Matthew 8:17; Romans 4:13-25; 1 Peter 2:18-25. John 14-17; Romans 8; Hebrews 4:14-16. Psalm 16:4, 118:8-9, 146:3; Jeremiah 17:5-6; Jonah 2:8; Micah 7:5; John 14:6; Acts 4:12, etc. Genesis 39-40; 2 Timothy 3:12-17. Romans 5:1-5, 15:1-7; Colossians 1:3-14; James 1:2-4; etc. Posted on February 8, 2019 by Seth Dunn and filed under Devotions and tagged devotional devotion Proclamation Presbyterian Church PCA Reformed Treasuring God's Truth Scripture Logos Bible Software theology true joy John Calvin Mount Joy. What is the application from these verses? First, God’s love is superior to everything. We know this because of the Trinity’s love toward us in Christ. Consequently, every other love is secondary. If we love finances, personal security, other beliefs, other people, etc. more than the Triune God, we sin. Here is where all can fall. May we repent and turn to Christ. For the unbeliever: you must turn because eternal life is at stake. For sinners and saints: suffering is worsened when we distrust Christ—may He spare us from false hopes. Lastly, if we claim to follow Christ, our private devotion must be reflected in our corporate worship. If we lack in one, we might also lack in the other. Complete your worship by having both. The Holy Bible: English Standard Version. (Wheaton, IL: Crossway Bibles, 2016). All Scripture references will be ESV unless noted otherwise. Derek Kidner. Tyndale Old Testament Commentaries: Psalms 1-72, An Introduction and Commentary on Books I and II of the Psalms. General Ed: D.J. Wiseman. (Downers Grove, IL: Inter-Varsity Press, 1973), 224. Kidner, Psalms, Vol. 1, 225. Job 13:15; Proverbs 14:32; Matthew 19:38-30; Mark 10:29-31; Philippians 3; Hebrews 10, Revelation 6:9-11, 20:4, etc. Kidner, Psalms, Vol. 1, 225-226. Kidner, Psalms, Vol 1, 226. Kidner, Psalms, Vol. 1, 226. John 3:16; Ephesians 1:3-14; 1 John 4:7-11. Posted on February 1, 2019 by Seth Dunn and filed under Devotions and tagged Logos Bible Software Proclamation Presbyterian Church Psalms true joy theology faithfulness Reformed Treasuring God's Truth hope Christian living PCA. Imagine that a close relative tried to kill you and chase you from home? What would you be thinking? Where would your heart turn? What would drive your behavior and choices? Although most of us have never faced such a painful and intimate threat, this is what happened to the writer of Psalm 63, King David. In fact, David had to leave everything and escape to the wilderness because his own son wanted to kill him and usurp the throne. But look at the heart of David. What does David want as betrayal drives him from his home to the Judean desert? He longs for God and wants to worship the LORD in Jerusalem. David so desperately desires to worship his Maker that he compares his longing for worship to someone in the desert looking for water. Further, David uses this psalm to remember God’s past (verse 2), present (verses 3, 6-8), and future (verse 5) faithfulness. In immense suffering, David remembers his God, he believes and trusts in the Lord. James Montgomery Boice. Psalms, Vol. 2: Psalms 42-106. (Grand Rapids, MI: Bake Books a division of Baker Book House Co, 1996), 516. See also 2 Samuel 16:14, 17:2, 29. Boice, Psalms, Vol. 2, 516. Boice, Psalms, Vol. 2, 517. Boice, Psalms, Vol. 2, 518. Boice, Psalms, Vol. 2, 518. See also Psalm 16:4, 130; 1 Peter 1:3-9, etc. John 14:6, Acts 4:12; Romans 8, Ephesians 1:3-23, 2:1-14; 1 Peter 1:13-25. James 1:2-4; Philippians 1:6; 1 John 3:1-10; Revelation 21:1-8. Posted on January 25, 2019 by Seth Dunn and filed under Devotions and tagged devotional Proclamation Presbyterian Church PCA Scripture Reformed Treasuring God's Truth true joy James Boice Logos Bible Software. Read 1 John 4:7-21 and John 3:16 3 times, slowly. And we do, kinda. Love is a feeling and a commitment, a force and a goal. When we’re “in it,” love makes our knees weak, or strong, depending on the situation. We become heroic, or bashful; silly or serious or forgiving. Love somehow breaks us and re-makes us, wherever it takes us. It generates more poems and songs and purpose and confusion than even our pets or our cars. We know with confidence from some mystical feeling that the Beatles were right, love really is all we need, or, for a song reference with far too many artists to mention; love does make the world go round. The irony of the lyrics to these sappy songs is that, for a Christian, these largely superficial sentiments ring true in Jesus Christ. Since God is Love, love truly is all we need, and since Jesus is God, love actually does make the world, indeed, the entire universe, go ‘round. The rest of the irony, however, is that apart from God, love is confusing and difficult to define and understand. Of course, confusion is not God’s purpose, because love is central to who he is and at the core of his plan. So, it is no surprise that for something so critical, God has a lot to say. 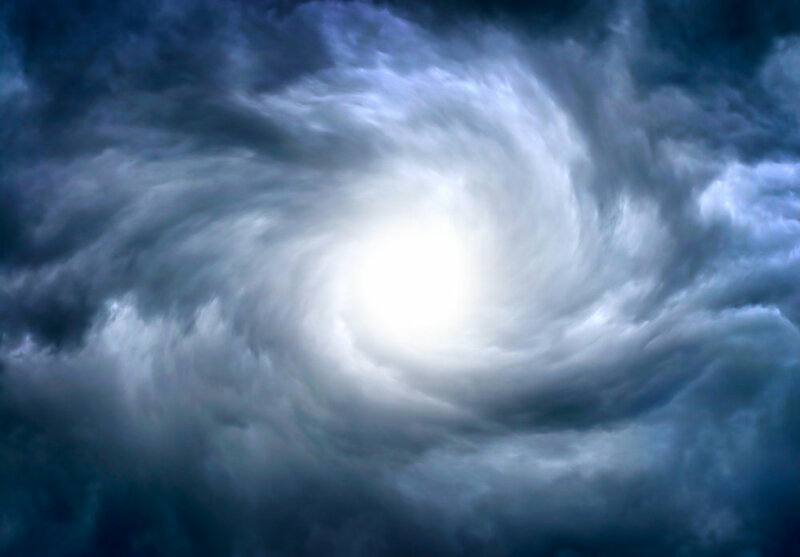 Love is at the very core of the eternal, triune relationship (More on that in a future blog), such that, when God decides, together, to create and sustain an entire history of the cosmos, love explodes from within the Godhead and washes over every aspect of that story. In many ways, love is the why of everything God does for us. (Footnote: His own glory could also be used as the why of everything he does.) How do we know this? There are three ways that God reveals love to us. First, God demonstrates love in all he does. When you open the Bible, you see what God does. Every action is that of a loving father with his treasured children. The list of ways that he does this is endless, because every action he takes is an act of love. He walked with Adam and Eve, then disciplined them, banishing them from the garden. He called and protected Abraham, Isaac, and Jacob, and their families, and their descendents; the judges, Saul, David, Solomon, and Ezekiel, Isaiah, Hosea - everyone of his children. He listens to prayers, delivers from distress; heals, guides, teaches. He also punishes, disciplines, reconciles and restores. Every single action of God is ultimately a model of what love looks like in action. There is no better way to see what love looks like than to see everything that God does. Second, God defines love over and over in his word. The passages abound. He tells us the characteristics of love and how to recognize it clearly. He tells us what love is, and what it isn’t. In his word, we learn why love has power and how to wield it for the good of others. Stay tuned, we are going to wade into many passages that will threaten to drown us. Third, God incarnates love in Jesus Christ. Although I mention this last, it is by far the first in priority. It is no stretch to say that Jesus is the perfect expression of love, because Christ’s incarnation is how God chose to show us his love; a love that for us in the loftiest, most profound, and most intimate possible expression. And wonder of wonders; the eternal, triune love that Jesus has for us is best experienced through personal relationship as we are united to God through faith in Jesus. This is why John 3:16 is so precious to the church, God so loved the world that he gave his son. Wow! Suddenly, Love makes sense, but when held in contrast, this true love of God demolishes every other lesser concept of love. Our passage from first John is a warehouse of content regarding love, but for now, we need to cook up two concepts from the passage and season it with a few other familiar ideas. Verse 11: Beloved, if God so loved us, we also ought to love one another, and verse 19, We love because he first loved us. These two verses simmer in the pot and we are led to two inescapable conclusions. First, God wants us to love others the way that HE loves others (and us, by the way.) Second, God is the source of that love. The seasonings for this verse-stew are the two Great Commandments and loving our enemies. We must love God first (heart, soul, mind, strength). We must love our neighbors as ourselves. We must love our enemies. This is a high calling. Love everyone the way God does. Let’s cut to the chase. What is Love? What is God’s Love? What characterizes the love that God demonstrates, defines, and incarnates? What is the nature of the love we need to hold for everyone? Here goes: God’s love is fervent, sacrificial, purposeful, gracious, expressive, bold, and covenantal. That is AgapeStorm. That is the challenge. We will begin to tuck in to this feast in the next blog. Posted on January 25, 2019 by Seth Dunn and filed under Teaching and tagged Charles Fox theology love Scripture Mount Joy Proclamation Presbyterian Church PCA. In early December over 100 members of the Early Rain Covenant Church in Chengdu, in Sichuan province, China, were arrested and detained by the Chinese government. Among the detainees was the Pastor Wang Yi and his wife, Jiang Rong. Their son is currently staying with the Pastor’s mother. The arrest included church leaders, seminary students, and worshippers at the church, many who were in a worship service, but also many were arrested in their homes or on the city streets. As is typical of religious persecution in closed nations, there has been no way to make contact with the people arrested and there have been reports of torture and coercion. Although the church in China is often understood as the fastest growing in the world, this is often matched with wave upon wave of official persecution from the Chinese government. It is remarkable that the church in China wears their persecution proudly like a badge of honor, and the members have stood strong and faithful. The government allows the church to meet in an “official” capacity where the teaching and worship is carefully controlled by the government. In contrast, there is a thriving unofficial church that loves the Bible, teaches the gospel, and worships the risen Jesus. The unofficial church has a stance of “faithful disobedience” to the government, which brings a heightened level of animosity upon the church. This latest round of persecution and incarceration of the church is part of a concerted action against all religions which include a massive round up of Muslims who are being held in retraining camps. As always, God has worked in both ordinary and miraculous ways in and through this persecution. The stories of God’s faithfulness and the perseverence of his people are painful, touching and awe inspiring. We need to pray. We need to be aware. We need to worship God for his wisdom and love. Posted on January 25, 2019 by Seth Dunn and filed under About Proclamation and tagged Charles Fox current events theology prayer Proclamation Presbyterian Church Mount Joy PCA. When I was a child, if you had asked me to sing a doxology I would have used the following words: “Praise God from whom all blessings flow; praise him all creatures here below; praise him above, ye heavenly host; praise Father, Son, and Holy Ghost.” Thousands of English-speaking congregations around the world treasure this poem and sing it regularly. Yet the term doxology does not refer to these specific words; it simply means a brief expression of praise. The word is derived from the Greek doxa, meaning glory, and logos, meaning word or speaking. Verse 4 from “Holy, Holy, Holy!” makes an excellent doxology. Note how the traditional words cited above urge God’s earthly and heavenly creatures to praise him: “praise him all creatures here below; praise him above, ye heavenly host.” When we sing “Holy, Holy, Holy!” we join the chorus of creaturely voices already singing God’s praise on earth and in heaven. “Holy, holy, holy” echoes the refrain of the cherubim John saw in his vision of heaven, endlessly praising God from before his throne: “Holy, holy, holy, is the Lord God Almighty, who was and is and is to come!” (Rev. 4:1). Isaiah similarly saw a vision of seraphim before God’s throne crying “holy, holy, holy is the Lord of hosts; the whole earth is full of his glory!” (Is. 6:3). These passages lend even more of their imagery to verse 2 of the hymn, which not only pictures the cherubim and seraphim worshipping God, but also refers to “all the saints … casting down their golden crowns before the glassy sea”—the calm-as-crystal sea John describes in front of God’s throne (Rev. 4:6). John’s “twenty-four elders” who “cast their crowns before the throne” (Rev. 4:10) represent all the saints—that is, the complete church past and present, two-times-twelve suggesting the twelve tribes of Israel and the twelve apostles. As Andy Styer explained in week 5 of his Revelation class, Revelation 4 reminds us that God is receiving the worship he is due right now, in heaven, by the whole gathered church and all the angels. So when we sing our doxology to God, this is the congregation we are joining. And what do we join all God’s works in calling him? “Merciful and mighty,” and—most emphatically—“holy, holy, holy.” We tend to think of holiness as synonymous with righteousness, but it more properly refers to being set apart: a holy object is set apart from common use, and a holy person is set apart from common existence (including sin). To call God “holy” is to acknowledge his transcendence and his absolute superiority to his creation. Finally, who is the God we are praising? Our God has graciously identified himself to us in his three persons, and so we take care to address our praise to the Trinity explicitly. Posted on January 11, 2019 by Seth Dunn and filed under About Proclamation and tagged Corrie Schwab worship Music Proclamation Presbyterian Church pca Reformed. Why does this matter? First, if you follow Christ, there is a clear command to grow to be like Christ. You will never do it perfectly in this life. But as people in Christ we can grow in the fruits of the Spirit to minister to our families, communities, and the world at large. Perhaps you, like me, can begin by patiently listening to everything your spouse has to say before responding. But what if someone does not follow Christ? Can she or he borrow Christian principles without Christian spirituality? The Holy Spirit is needed to have the benefits of Christian living, and you cannot have the Spirit of Christ without Christ. Christian disciplines without Christ are merely morals. But there is another important matter: Christ will return. He will save His people and require His due from those who are not His followers. Will you serve the Servant peacefully or be forced into submission? The Holy Bible: English Standard Version. (2016). (Wheaton, IL: Crossway Bibles, 2016). All Scripture references will be ESV unless noted otherwise. John 13:4, 13-15; Matthew 8:16; Luke 9:58, etc. Mark 14:24; John 10:15, 11:51-52; Romans 4:25, 5:15; 2 Corinthians 8:9; Galatians 1:4, 2:20; Titus 2:14, 3:4-8; 1 Timothy 2:6; Hebrews 2:10, 9:28; Revelation 5:9, etc. Isaiah 52:13-15; Matthew 26:67; Mark 15:15; Luke 23:34; Matthew 27:46; Hebrews 4:14-16. John 14-16; Acts 2:38-39; Romans 8; Galatians 4:4-7; etc. Matthew 24:23-31; John 14:6; Acts 1:10-11; Revelation 19:11-21. Hebrews 9:28; Romans 14:11; Philippians 2:9-11. Posted on January 4, 2019 by Seth Dunn and filed under Devotions and tagged Treasuring God's Truth Reformed Proclamation Presbyterian Church. William Hendriksen. Exposition of the Gospel According to Matthew. (Grand Rapids, MI: Baker Book House, 1987), 133. Hendriksen, Matthew, 133 and 143-144. John Calvin. Commentary on a Harmony of the Evangelists, Matthew, Mark, and Luke Vol. 1. Trams. William Pringle. (Grand Rapids, MI: Baker Book House, 1984, 98-99. Romans 5:6-11. For background, please see Genesis 3:1-15; Romans 3:9-23; 8:7-8. Calvin, Commentary on a Harmony of the Evangelists, 98-99. Luke 13:1-5; Acts 2:14-40; Romans 6; Galatians 5:16-26. Ephesians 1:7; Romans 8:1-2, 9; Ephesians 1:17; Galatians 4:4-11. Psalm 116; 1 John 1:9-2:2. Posted on December 27, 2018 by Seth Dunn and filed under Devotions and tagged Proclamation Presbyterian Church Reformed Scripture. What Child Is This: All Hail the … Baby? It’s easy to forget just how incongruous Christ’s birth must have seemed at the time. The long-awaited Messiah, the son of David, the king with angel heralds—introduced as a helpless infant sleeping in a feeding trough! And of course that incongruity pales in comparison to the paradox that this human child was God himself. The question-and-answer format used in “What Child Is This” serves to revive our sense of awe and wonder at Jesus’s identity. Each verse juxtaposes signs of Christ’s majesty with signs of his humble position. I’d like to focus on the carol’s second verse, which is packed with meaning. Good Christian, fear; for sinners here the silent Word is pleading. In normal syntax, this sentence might run something like this: “Fear, Good Christian, because the silent Word is pleading for sinners!” The Word refers to Christ, identified as the “ultimate truth” sought by Greek philosophers—though they conceived of the Word as an impersonal force. In his very personal role as the mediator between God and his people, Christ pleads our case before God’s judgment seat (Rom. 8:34). And what does Jesus plead? He pleads for God to show us mercy because he (Jesus) has satisfied God’s law on our behalf. This is why, even as a speechless baby, the then-silent Word was pleading for sinners by his righteous life. Christ’s accomplishment should inspire fear, in the sense of reverential awe of God. Going back to Philippians 2, “And being found in human form, [Christ] humbled himself by becoming obedient to the point of death, even death on a cross” (v. 8). Becoming human wasn’t enough, becoming a helpless baby wasn’t enough, even becoming a poverty-stricken, homeless baby wasn’t enough. Jesus came to endure the most shameful death imaginable. Our response is decreed by Philippians 2: “Therefore God has highly exalted him and bestowed on him the name that is above every name, so that at the name of Jesus every knee should bow, in heaven and on earth and under the earth, and every tongue confess that Jesus Christ is Lord, to the glory of God the Father” (v. 9–11). In the last line of the carol’s second verse, as in the last lines of the other two verses, we urge creation to join this chorus. Posted on December 20, 2018 by Seth Dunn and filed under About Proclamation and tagged Corrie Schwab Christmas Music worship Proclamation Presbyterian Church pca Reformed Mount Joy. The good news that Joseph received is good news for all who believe in Christ. If Jesus is your exclusive means of salvation and forgiveness from sin you are liberated from the greatest evil and own the greatest good. You no longer need to live in guilt nor sin’s control. You have everything you need to live as God has called you to live. If Jesus is not your only Redeemer, then you lack the greatest good and are still enslaved to sin. When people who say they believe in Jesus walk unrepentant in sin, they are returning to the slavery from which God freed them. We all must pray to the Spirit of Christ, asking for help so that we can be rescued from sin’s heartbreak to have Christ’s heart rescue—either for the first time for salvation, or as sinning saints fleeing their former master. William Hendriksen. Exposition of the Gospel According to Matthew. (Grand Rapids, MI: Baker Book House, 1987), 130. Posted on December 20, 2018 by Seth Dunn and filed under Devotions and tagged Logos Bible Software Treasuring God's Truth Proclamation Presbyterian Church Gospels Exclusive Salvation in Christ Reformed true joy PCA.